Why are some people fast learners? Can we teach everybody to be like them? 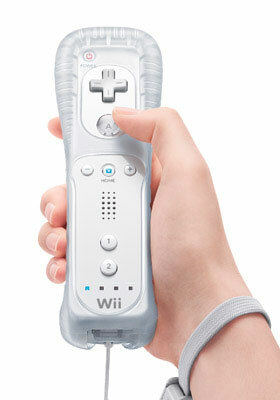 Yes, Wii can! A Rice University research project recently funded by the National Science Foundation (NSF) is making use of Nintendo’s popular video game technology to codify learning systems in ways that can be used in a range of human endeavors, from sports to surgery. Two Rice professors, Marcia O’Malley and Michael Byrne, are following up on O’Malley’s pioneering work using robots to treat stroke victims with a study to map out how people learn physical tasks, with the ultimate goal of programming robots to teach in new ways. With the new NSF grant, O’Malley and Byrne will spend the next three years measuring the motions involved in tasks as mundane as playing paddleball and as complex as flying a fighter jet. “We’re already grabbing motion data from the Wiimote,” states O’Malley, “so soon we’ll be able to measure a range of motion and then turn it into a mathematical model.” For the researchers, here’s where the games really begin. Their ultimate plan is to bring together robotics and virtual reality in a way that lets people absorb information through repetition of the motor pathways. Think of hitting a tennis ball. Learning by trial-and-error is fine, but it would be much easier if a robotic sleeve could tell you exactly where that hitch in your swing is and gently prod you to hit the ball correctly. Read more about robotics at www.GraduatingEngineer.com.